There is a common perception that upon obtaining wealth, the positive and negative qualities in people become more pronounced. Although it is true that one can make changes to their lifestyle and actions after becoming wealthy, it is more difficult to do so. With a lot of money, you are often a busier person and you are more frequently under a spotlight. Plus, there are certain mistakes that making even once, after you have a lot of money, can be extremely detrimental. You have to learn the lesson of humility. It is challenging because it means overcoming an urge for external validation. Doing so prior to becoming wealthy, though, will pay large dividends. Otherwise, you will likely have a desire to flaunt your wealth. This showing off often comes across negatively to others, plus, it will lead to you spending money on things you do not truly care about (like a round of drinks for everybody). Once you become wealthy, your reputation is more heavily scrutinized, whether that is within your community or set of friends. In an even larger contexts, the way you act will be more frequently talked about. That makes it critical to treat people well. A failure to do so can result in negative perceptions. That could close the door for future opportunities and give people preconceived notions before ever meeting you. With wealth comes some form of power. You will have the ability to give back to others, both charitably and in business decisions. There is also significant social power that comes with wealth. Many look up to those that are wealthy in hopes of being able to emulate them. That means that your actions and words can have a dramatic impact on others' choices. Even before becoming rich, it is a crucial lesson to learn how your choices and conversations influence others. As you grow to be successful, that understanding becomes ever-more important. It can empower you to positively impact those around you. Learning how to invest your money in order to make more is a great skill, even when you have little of it. 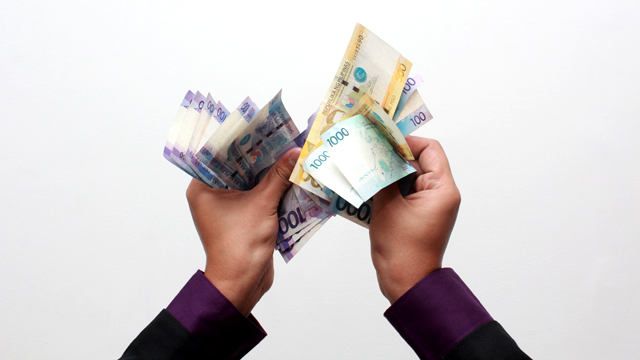 As you grow in financial capability, understanding investments can pay off greatly. Receiving a 10 percent return on large sums can put you in a financially stable position for the rest of your life. A lack of knowledge about investing, on the other hand, can lead to poor financial decisions that will lose you the things that you worked so hard to build. Once you have a lot of money, your attention can become easily diverted. You will suddenly have an opportunity to partake in a wider range of experiences and activities than before. In the case that you do not know what makes you happy, it is easy to pour time and money into new things because you can. Having a baseline understanding of what you enjoy, though, will better enable you to spend time doing what you love. You should learn early on to surround yourself both with those you enjoy and those who enjoy being around you. When you do this, regardless of financial situation, you end up surrounded by the right people. Without learning this lesson, though, you might be disillusioned into believing that people see you as their friend when that is not the case. An emergence into wealth can have a negative impact on who you spend time with because your money will automatically make you more popular. Therefore, knowing what you want out of friends and having a strong support network before becoming rich will prevent these mistakes. Learn to avoid complacency early on. You should always strive to grow, do more and be better. This does not have to be in drastic, life-altering changes all the time. Rather, it is finding ways to continue to get a lot out of life and provide yourself with the necessary challenges to remain energetic. Upon reaching financial success, without this mindset, you might be inclined to just relax. Doing so will prevent you from using your financial situation for good and could decrease your overall levels of happiness. Studies have shown that experiences make us happier than tangible things. Learning this lesson early on will have a drastically positive impact on your life. It is difficult to get over the ego bump that owning an expensive car or a huge house might have. The reality, though, is that after making a big purchase, the novelty will wear off and you will be no better off. Spending effort and money on experiences, on the other hand, will give you memories that will last forever. You do not necessarily have to worry about looking for coupons to put toward groceries. That said, you should be very deliberate about how you spend your money. The people who have achieved sustained wealth do this very well. They do not buy things that they do not need. That money could be put to much better use in bank accounts or charity. Establishing this frugality before becoming wealthy can help you maintain the wealth. Otherwise, with inflows of money, you will be inclined to spend it. This is despite the fact that the things you are buying will add little value to your life. We are ego-driven people. One way that we can get a sense of how we compare to others is by external indicators related to societal values. Wealth is one of those primary indicators. Upon being wealthy, you might establish the mindset that you are better than those around you. This ego can be extremely detrimental. Even if you are humble on the outside, believing that you are better than others will cause you to act differently. You might be less inclined to meet new people or less open to others' ideas. Therefore, finding ways to remove ego from your life will help you achieve success while continuing to grow and learn from those around you.